North-West. J. Zool. publishes papers in the following field of zoology and animal ecology: herpetology and entomology*, ichthyology, mammalogy, ornithology, biogeography, parasitology. * papers on new species, distribution records or check list of insects are accepted only in limited number and only as Correspondence papers. We do not accept submission of papers on veterinary sciences or descriptive morphology/anatomy- for such papers there are other journals covered in the Thomson Reuters Veterinary Sciences sand Anatomy & Morphology subject categories. Both original research papers, reviews and correspondence papers are welcomed. Review papers should deal with topics of general interest or of contemporary importance, being synthetic rather than comprehensive in emphasis. Authors of Review papers should consult with the editor and the proper subject editor before submission. Original research papers are welcomed both as full-length papers or short notes. The editors reserve the right to move manuscripts from one to other category. The North-west. J. Zool. wants to promote research of current interest. Papers which cater for a narrow readership (restricted interest) or restricted to a geographical area (excepting integrative papers) are not accepted. 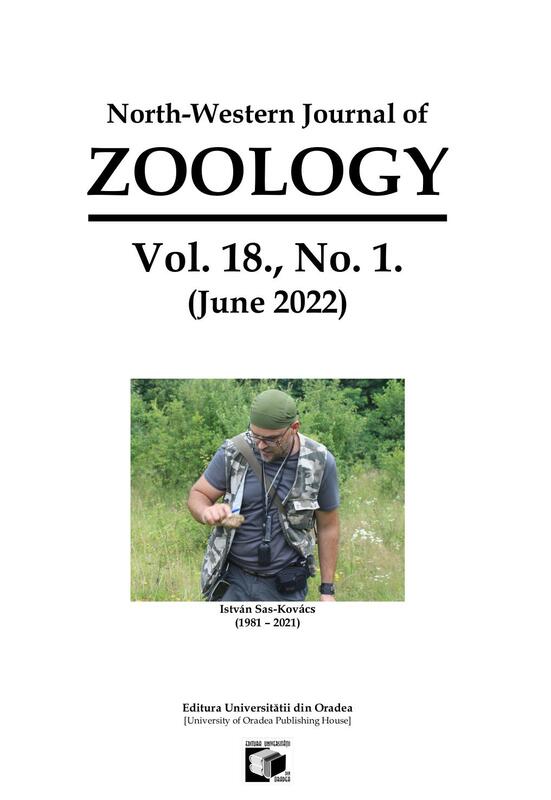 North-Western Journal of Zoology received its first ISI Impact Factor in 2010, after just five years of appearance of the first issue (July, 2005). The Impact Factor of 0.817 is a serious result, and the Editorial Board aims to keep this high standard. Therefore, the Editorial Board decided to focus on papers with have pronounced inter- and transdisciplinary character. Strongly descriptive papers will be preferred only in exceptional cases, when they are very innovative. When preparing the manuscript, the authors should check very carefully the “Instruction for authors” section. Manuscripts may be rejected without peer review if they do not comply with the instructions to authors or are beyond the aim and scope of the journal. !!! All manuscripts must be accompanied by the Cover Letter. This form must be completed and signed by all the authors before processing of the manuscript can begin. Please read it carefully! !!! Until to submit a manuscript, please check if your manuscript respect all criteria in the following Submissions pre-evaluation form. 1.) Research articles: both as full-length papers (>2.000 words, >six printed pages) or short papers (1.500-2.000 words, approx. four-six printed pages). 2.) Correspondence: high quality manuscripts with important field data, but below of Research articles criteria, are considered to be published as short communications (more than 1000 but less than 1.500 words, one-two, maximum three printed pages). These papers should have no more than 15-20 references. 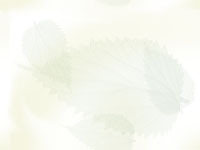 - natural history notes: interesting field observations, especially those which can be the starter of further studies. - fauna notes: interesting fauna records (e.g., range expansions, new records); but new records of species with large distribution are discouraged. - taxonomic notes: interesting records of new species for science; but descriptions of species belonging to taxa with large number of species are discouraged. - in memoriam (ask the editor first! ): in memory of deceased zoologists. 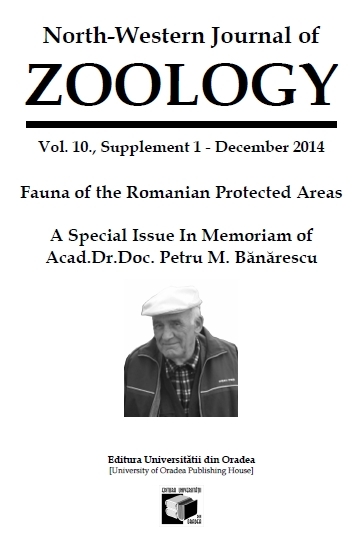 - opinions on current issues of interest on zoology (ask the editor first!). The Editor reserves the right to convert to Correspondence paper any manuscript if they are too short to qualify as full-length research paper or short research paper. Manuscripts must be submitted in electronic version only, as well as the original figures and tables. The manuscript text should be MS-Word processed, typed throughout in letter quality with font size 12, Times New Roman, without footnotes, without section breaks(! ), double spaced (about 30 lines per page), continuous line numbered (do not use page numbers! ), on A4 (210 x 297mm) paper, with margins of at 25mm on each side. All pages should be numbered consecutively in the bottom, right-hand corner. For all types of papers, the title page must contain and only contain the following: title of paper (bold); full name(s) of the author(s); address of the institution where the work was done, and the name and address of the corresponding author with an email address. Provide a title that is concise but also an informative synthesis of the study. Where appropriate, include mention of the family or higher taxon. Please provide a short running title of five words or less. The Abstract of maximum 300 words should summarize the essential results and conclusions. The introduction has to be a concise description of the background, rationale, aims and specific objectives of the paper. Key words: all of the manuscripts, including short notes, correspondence papers must contain abstract and at least 5 key words. Materials and methods have to provide sufficient information to permit repetition of the experiment and/or fieldwork. The technical description of study methods should be given only if such methods are new; otherwise a short presentation is enough. The Results section must be a concise presentation of the finding of the study. Avoid the presentation of same information as text and/or figure and/or table. Discussion section should be separate from the results section at full-length papers and should deal with the significance of the results and their relationship to the aims of the paper. Also include how the findings of the paper will change, influence the state of our knowledge about model organism. Papers without the main headings, Introduction, Discussions, are rejected without review. We cannot accept manuscripts having only the Methods and Result section (mainly used by some authors in taxonomic papers). Short papers (generally less than four-five manuscript pages) should have the same structure such as full-length papers with an abstract of no more than 150 words. Correspondence papers at the submission must have an Abstract and at least five Key words (needed for the review process - will not be published if the paper is accepted). Cited sources should be referred to as follows: (Huey & Pianka 1981, Pianka 1989, Haydon et al. 1997). All authors of a paper should be cited in the list of references. References "in press" shall only be cited when they have been accepted for publication. Avoid quoting unpublished reports or thesis. Names of persons who provided unpublished information should be cited as follows: “(Andersson, Stockholm, pers. comm. 2005)”. List references alphabetically by author under References and date of publication at the same author. Because the North-west. J. Zool. wants to promote research of current interest, the references must contain titles published in the past two years (including the submission year) in other leading journals. Journal and series names have to be spelled out fully. We doesn't accept abbreviated journal titles. Haydon, D.T., Crother, B.I., Pianka. E.R. (1994): New directions in biogeography? Trends in Ecology and Evolution 9: 403-406. Sokal, R.R., Rohlf, F.J. (1995): Biometry. The principles and practice of statistics in biological research. 3rd Edition. W. H. Freeman & co, New York. Huey, R.B., Pianka, E.R. (1983): Temporal separation of activity and interspecific dietary overlap (with an Appendix by S. L. Pimm). pp. 281-296. In: Huey, R.B.,. Pianka, E.R., Schoener, T.W. (eds. ), Lizard Ecology: Studies of a Model Organism. Harvard University Press. Mercurio, V., Andreone, F. (2008): New distribution data of the green mantella, Mantella viridis, from northern Madagascar (Anura: Mantellidae). Herpetology Notes 1: Art.#01, pp. 3-9. Statistics. Mean values should always be accompanied by some measure of variation. If the goal is to describe variation among individuals that contribute to the mean standard deviation (SD) must be used. When the aim is to illustrate the precision of the mean use rather confidence intervals (CI) than standard errors (SE). Avoid using the sign ±, instead present means as: mean 13.15 (1SD: 3.30); 13.15 (1SE: 1.04) or 13. 15 [95%CI: 10.78 – 15.51]. Proportions also must be quoted together with a measure of variation according to the respective binomial or multinomial distribution. Sample sizes always have to be noted. The last paragraph of Materials and Methods section should briefly present the significance test used. Quote when possible the used software. Real p values must be quoted both at significance or non-significance. The use of the sign is acceptable only at low values of p (e.g. p<0.0001). Ethics. The authors of articles that are based on experiments that caused injuries or death of animals should explain and justify the grounds of the study and state that the scientific results of the study is at least in trade-off with the sufferings caused. In the Materials and Methods of the manuscript, authors should detail as precisely the conditions of maintenance, transport, anaesthesia, and marking of animals. When available, references should be added to justify that the techniques used were not invasive. When alternative non-harming techniques exist, but were not used, the manuscripts may not be considered for publication. Word 2007-up. Unfortunately, the journal cannot accept Microsoft Word 2007/2010/2013 documents. Please use Word's 'Save As' option therefore to save your document as an older (2003 or later) *.doc file type. Otherwise the editor in chief reserve the right to refuse the proofing until to have the paper XP compatible. Word 2013-up. The authors have the full responsibility to set up the correct template and compatibility with XP and 2003 versions! Papers with formatting inconsistencies are denied from proofing. All illustrations, including charts, photos, illustrations must be labeled as Figures. At the end of the manuscript, before the tables and figures must have a table and figure caption page. All tables and figures must be numbered consecutively and given at the end of the manuscript. Landscape Tables must be sent in separate Ms Word (*doc) file. If the Ms Word file (*doc) exceed 1-1.5MB all of the figures must be sent in a separate *pdf file. After the paper is accepted the editors will ask for figures in *jpg or *tif format with 300Dpi. Color Figures: The editor in chief reserve the right to decide what figures are justified and can be published in RGB color (another figures will be removed or published in black and white). Only the online version of the journal will have all color pages. 5. Table and figure captions following the tables and figures. Step 1. All of the registered manuscripts will get a MS number with the following formula: nwjz.YY.Dom.No. (YY-submission year, eg.10 for 2010; Dom.- Ms domain, eg. HR-herpetology; No.- the number of the manuscript in the above criteria). The editors will send you the registration mail in maximum a month. The authors must use their Ms number in the subject of any emails referring to their paper. The editor(s) will not answer to requests that doesn't respect this criteria. Step 2. Each paper will be reviewed by 2-3 independent reviewers. Each paper will be sent to at least two independent reviewers. Since the review process is a time and energy consuming work, the editors will acknowledge their effort by respecting their proposals entirely. If there are inconsistencies between the reviewers, a third reviewer will be asked to review the manuscript. The editor will decide the acceptance or rejection of the manuscripts according to these reviews. Periodically, the journal will list the name of the reviewers, acknowledging them their work in a separate note. Moreover, a paper may be rejected without external review if the editors think that it is unacceptable for publication (see the top of the guidelines page). Step 3. Formally accepted manuscripts will be send to English language editors to verify the spelling. Only spelling checked (final acceptance date) manuscripts are proofed. The publication order in print depends on the papers subject area, the length of the paper and the presence of color figures. According to the first statement of the journal, a half of each issue will contain papers on herpetology. There are two steps of proofing. The first step include the spelling editing. After receiving the spelling edited paper, the authors can make a last check on the main text. The second step include the formatting of paper, the making of the proof. In any of the proofing stage, adding new authors or supporting grants, not allowed. Such practice may conduct to the rejection of the paper. Proof will be sent to the first (or corresponding) author only once and it should be returned without delay. Corrections should be limited to typographical errors. The proof corrections must be suggested using the review option (text editing, check box, etc.) in a *pdf file editor software (like Adobe Acrobat or CutePDF Prof.). We doesn't accept the corrections by resending the original *doc file. Following publication, the first (or corresponding) author will be provided a free *pdf copy of the article. Errors caused by editorial work will be corrected free of charge. Errors, especially those affecting the layouts, may be corrected for a fee and will delay the publication of the paper. The editors reserve the right to deny the corrections considered non-appropriate. We do not accept second round of corrections for an already corrected proof. PLEASE SEND YOUR MANUSCRIPT TO ONE OF THE FOLLOWING EDITORS ONLY ! The editors will send you the registration mail in maximum a month. Manuscripts submitted to more than one editors in same time (double processing) will be rejected automatically. Manuscripts without the sample cover letter (signed of all of the authors) are rejected automatically.